The Cit y of Tracy wants to be your partner for business development and growth in the community. A business owner that is well prepared to perform a business start-up in our City, is more likely to succeed in its operation after the grand opening ribbon is cut. The City of Tracy’s goal is to see business thrive, to generate jobs and create a diversified local economy. Let us help your business prepare for a positive future with a visit to the City of Tracy’s one stop Development Services Department. Economic Development as a Resource! The Economic Development Division is a free resource for business start-up and expansion in the City of Tracy. Questions relating to market demand, economic analysis, real estate, business capital deployment and the development and building process can all be answered by Economic Development staff at no cost to the business owner. Economic Development provides liaison, business retention, loan programs and other complimentary services to the business community. Business is about Location, Location, Location. The Planning Division is responsible for interpreting the land use policies, development standards and adopted planning related municipal code of the City of Tracy. Picking a business location is not only about what works best for your business, but also what is allowed by the applicable City Zoning Code and General Plan, in addition to other City policies. In considering locations, there will be various Planning items to consider that are specific to each project: Zoning Consistency, General Plan Designations, building setbacks, parking, landscaping and signage standards, and others… A City Planner/Engineer pair is assigned to every project. As you submit your application, you will be provided with a single point of contact, typically a City Planner. This person will be able to answer every question you have related to the status of City reviews of your project. This City Planner/Engineer team is responsible for making sure that you have a clear understanding of how to meet City requirements in order to obtain approval. Are Utilities and Other Infrastructure in Place for the Business? The Engineering Division will be your partner to ensure the business location you select has available water, sewer and storm drainage utilities service and capacity based on the demands of your business. Picking an existing or new development business location with existing utility connections and planned capacity may save you money prior to, and during construction. In addition, the Engineering Division will evaluate your application for its impacts on streets and roadways. The Engineering Division additionally handles the land development needs of the city. What is the occupancy type of the existing building? Certain building occupancies or changes in existing occupancy can create new improvements, including fire walls, barriers and sprinklers. Is the building an in-line tenant space? Ask about fire rated walls, corridors and fire rated building improvements that could be required. Is the building ADA accessible for workers and patrons and what improvements may be required by applying for a building permit? Some commercial tenant improvement projects will trigger application of up to date ADA improvements inside and outside of the commercial leasable space. Are you looking to open a restaurant? If cooking or preparing foods, you may be in need of a commercial hood and fire suppression system. Additionally, ensuring there is adequate water, sewer and other utilities are available to the space is important to a successful restaurant project. Where are the bathrooms and are there enough bathroom fixtures for your business, or business floor area expansion, based on applicable building codes? Fixtures can be based on occupant load and floor area of your business, changes to these factors can increase your bathroom fixture needs. What is the condition of the building? Are the electrical, mechanical, plumbing and structural systems up to date and approved for occupancy by a business and your customers? The application and issuance of building permits can trigger major improvements to make an older building structurally sound, with improvements to electrical, mechanical and plumbing based on your improvement plans. Does the existing building contain hazardous building materials such as asbestos? The City Building Division routes all existing location commercial improvement plans to the San Joaquin Valley Air Pollution Control District for compliance with environmental air quality standards which regulate asbestos in construction. If asbestos is present, this may requiring an added permit fee and the use of specialized asbestos contractors to perform asbestos work. Are you handling hazardous materials or have a business that performs a hazardous process? Contact the City Building Division, a qualified Engineer or Architect to review applicable building codes as it relates to your operation. Once you have a business location, you may apply for a City of Tracy Business License. The Finance and Administrative Services Department handles business licensing in the City of Tracy. 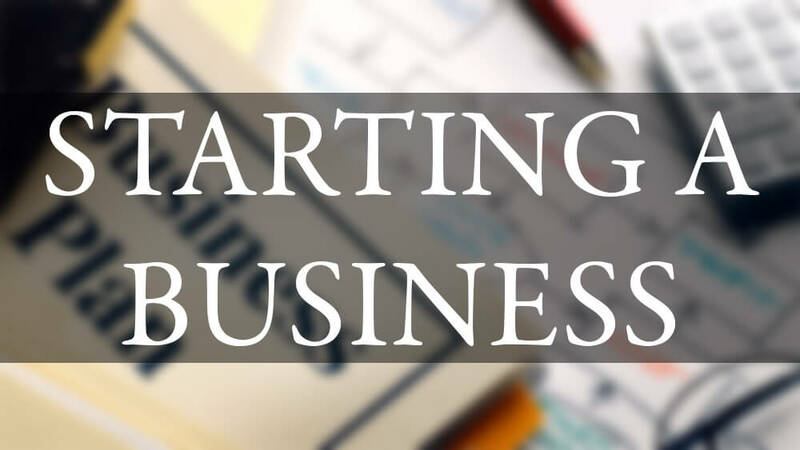 All persons performing business in the City, or those holding an active license or permit issued to do business in the City, are required to obtain a Business License. General Business License tax applications will be routed to various departments for review. Once paid; a Business License tax certificate will be issued. If the business location or mailing address changes, has an ownership or business name change, or becomes inactive, it’s the certificate holder’s responsibility to notify the Business License tax office, and pay any applicable fees. Congratulations, you have visited the Development Services Department and are now headed towards opening a business in Tracy. Depending on your business needs, there may be additional coordination with outside agencies that permit, regulate or otherwise will interact with your business operations.